Well, this is interesting. 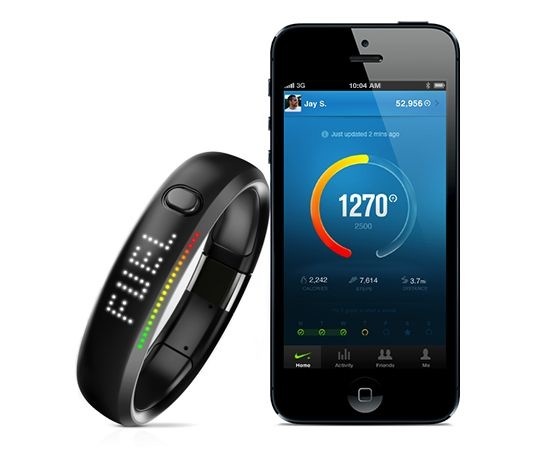 Nike confirmed on Twitter it has ceased development of its long-overdue Android sync app for the FuelBand accessory. The company originally planned to release the software by summer 2012 to make it easy for Android-totting customers to sync with the FuelBand. Like Jawbone’s Up fitness band, Nike’s FuelBand tracks your physical activity throughout the day to give you an at-a-glance overview of your habits and life patterns. Nike defends the move by citing the need to focus on the iOS app and web experiences. 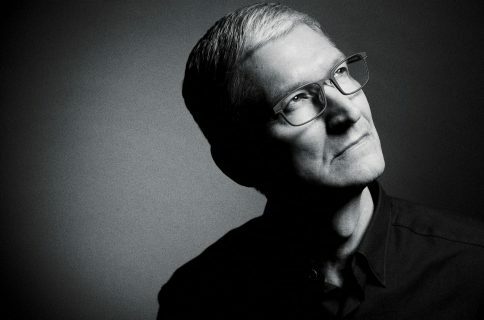 Could have Nike board member and Apple’s chief executive Tim Cook had a hand in stymieing Android app development? A customer criticized Nike on Twitter for “sending tweets telling me to exercise”. Right now, we’re focused on iOS and web. We’re not working on an Android App. The FuelBand doesn’t require a dedicated app because people can sync their data via nikeplus.com on their computer. @mkoyerp Right now, we’re focused on iOS and web. We’re not working on an Android App. On June 7 of last year, Nike tweeted that the Fuelband app for Android would be coming that summer. @hoezaay The Nike+ FuelBand app will be coming for Android this summer. Stay tuned! Be that as it may, this is a blow to Android no matter how you look at it. To deliver the best experience for all Nike+ FuelBand users, we are focusing on the FuelBand experience across iOS and nikeplus.com, where you can sync your activity, set new goals, and connect with friends. At this time, we are not working on an Android version of the mobile app. Having a dedicated iPhone app while forcing Android users to sync via the web is a tad peculiar to say the least, especially for a company of Nike’s stature. Doesn’t Nike want to sell the FuelBand to the millions of Android users? What could be at play here? 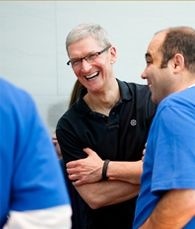 Tim Cook wearing a Nike FuelBand, which tracks his physical activity. Things become a little clearer considering that Apple’s chief executive office Tim Cook has a seat on Nike’s board of directors. Cook joined the Nike board back in 2005 as the two firm’s struck a productive partnership which saw Apple integrate Nike + iPod features, first with iPods and then with other Bluetooth-enabled iOS devices. 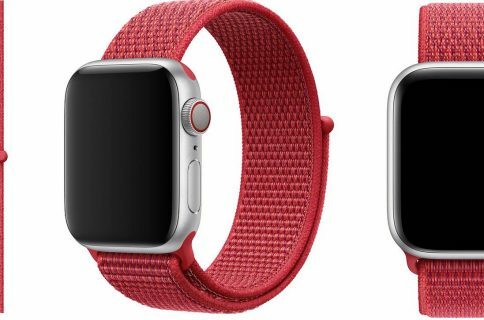 The iOS accessory market is huge and worth billions of dollars so this could be a pre-emptive move on Apple’s part to prevent the prime accessory maker from joining the Android ecosystem. Maybe that close relationship has determined the fate of an Android app. It’s also entirely conceivable that Apple and Nike could be working on an even tighter Nike+ iOS integration. 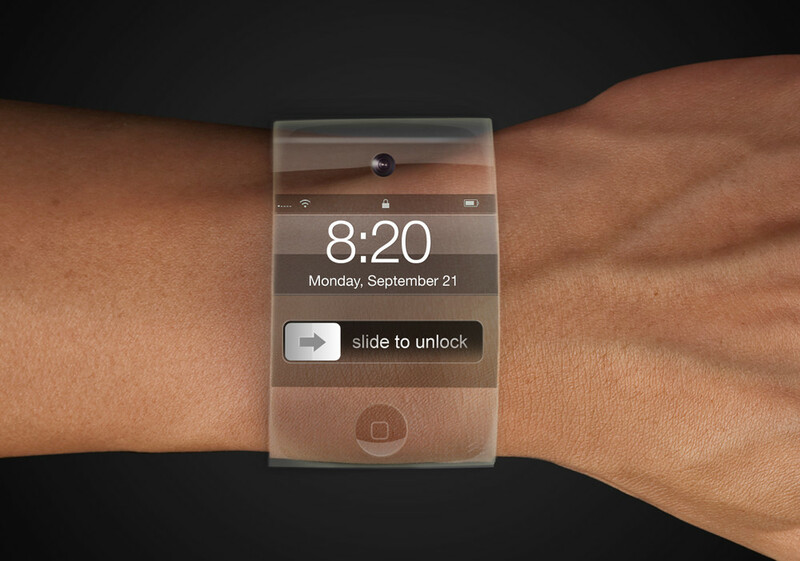 I’d also point at yesterday’s reports by The New York Times and The Wall Street Journal claiming Apple’s been testing various designs for a curved-glass iOS smartwatch with Foxconn, its prime contract manufacturer. 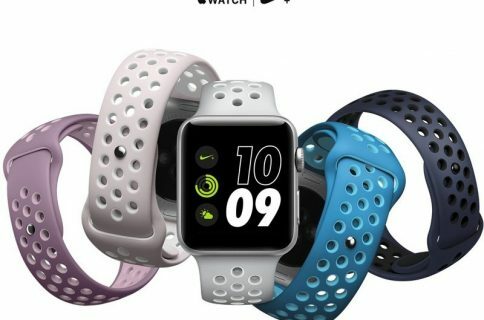 The so-called iWatch would file as Apple’s first wearable computing device and it could easily be designed with the Nike+ support out of the box in mind. Maybe you can connect the dots here?